Journal of Literary Education is a refereed, peer reviewed, electronic journal for those interested in the study and development of Literary Education. Its readership comprises practitioners, teacher educators, librarians, researchers and both undergraduate and graduate students. Journal of Literary Education offers educators a forum for debate about this discipline from a broad perspective. General issues and special issues are published. 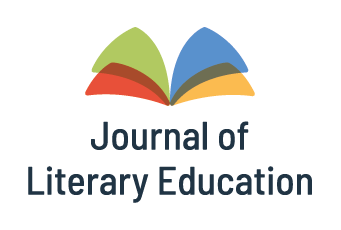 We are pleased to announce the launch of the Journal of Literary Education, a new journal dedicated to building a rigorous cross-disciplinary dialogue in the field of Literary Education. The journal serves as a forum for the growing literary education community of researchers to develop a shared language and to study the tenors, the discourses, the methodologies and the distinct strengths of Literary Education as an academic field.